Seven members of the Leadership Team of the Samoa Audit Office (S.A.O) have been awarded scholarships to commence Masters Degrees in Financial Year 2017 mostly through distance and flexible learning mode. The 2017 awardees raise the number of S.A.O Staff undertaking Masters studies to 13 in 2017 from six in 2016. The Post-Graduate and Masters initiative started in 2016 as part of the professionalization drive of the Controller and Auditor General. 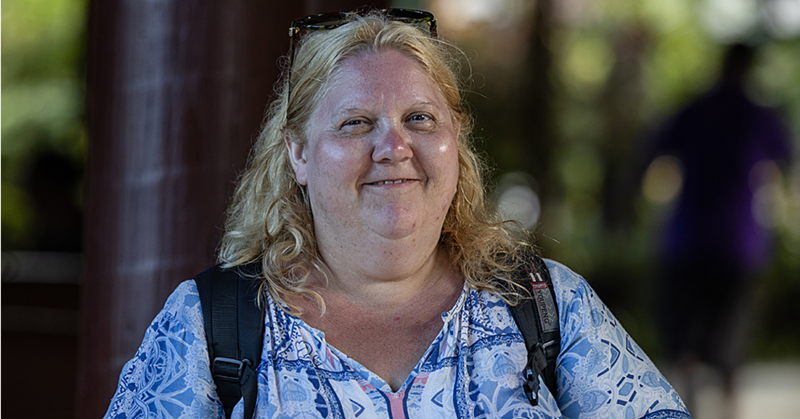 This was inspired and motivated by the professionalisation programme of the International Organisation of Supreme Audit Institution (I.N.T.O.S.A.I) and Pacific Association of Supreme Audit Institution (P.A.S.A.I). Professionalisation became the second theme of the International Congress of Supreme (I.N.C.O.S.A.I) 2016. The first theme of I.N.C.O.S.A.I 2016 is auditing the implementation and progress of Sustainable Development Goals (S.D.G) towards the 2030 targets. 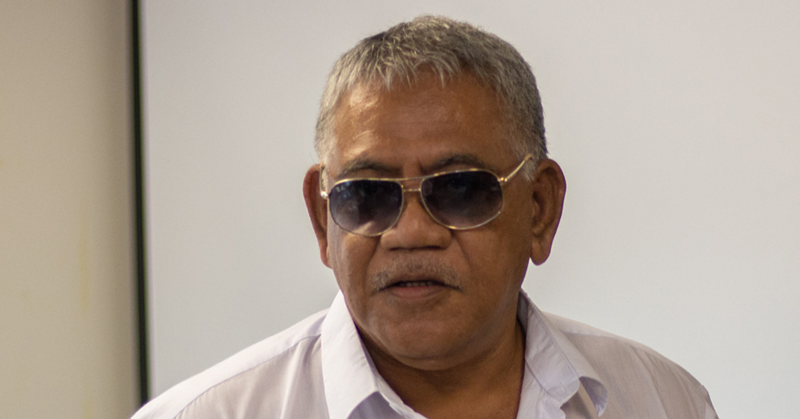 As the only employee in the Samoa Audit Office with a Postgraduate Qualification, the Controller and Auditor General, Fuimaono Camillo Afele, believes in building a Model Organisation and a Model Supreme Audit Institution with a Model DNA of essential skills, knowledge, attitude, qualifications, experience and professional competencies for its Leadership Team and Staff. From 2014 to date, the Controller and Auditor General also spearheaded the (Certified Fraud Examination) C.F.E programme for S.A.O Staff as part of S.A.O’s capacity and quality supplementation phase of its development activities which certified up to 17 staff in 2015 and three more in 2017. 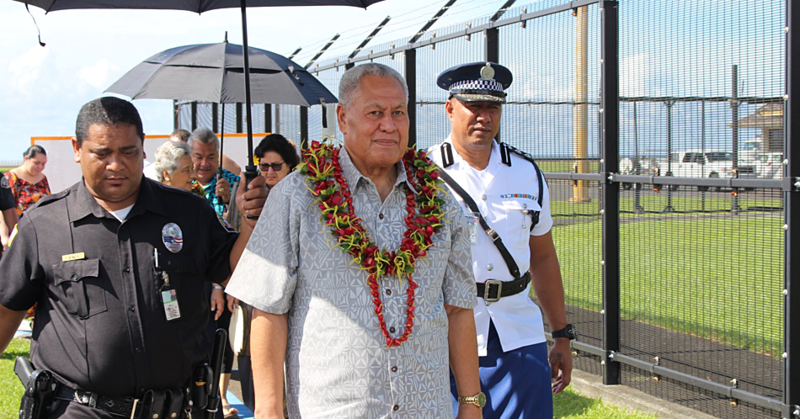 The Controller and Auditor General is now taking the C.F.E programme to other Integrity Organisations of the Public Sector commencing next month with the aim of forming an Informal Network dubbed as “Samoa Integrity Organisation Network” (S.I.O.N.) funded under a project the Controller and Auditor General and S.A.O are co-leading with the Ombudsman and the Office of the Ombudsman. The Project is funded by the Commonwealth Ombudsman of Australia and the Australian Government. In keeping with this original vision and the traditional belief that all blessings and achievements flow from the top, the Controller and Auditor General has made it part of the Audit Office 10 year strategic plan and related succession planning for the leadership team to undertake distance and flexible learning postgraduate and masters studies so that the leadership of S.A.O can be sustained as well as any other organization of the public and private sector of Samoa the scholars may go to after graduation. 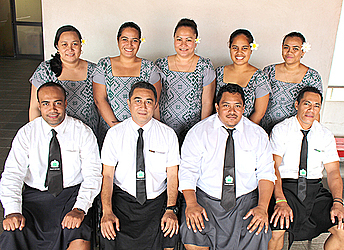 While studying via distance and flexible learning (D.F.L) awards, office scholars will still study in Samoa while also working full time delivering all outputs and deliverables that are agreed and signed with the Audit Office as part of their annual performance plans, agreements and reviews process. This was the attraction to the Controller and Auditor General as a former Student and Masters Graduate of the DFL process hence the support for the post-graduate applications of the leadership team. Recalling the time of his studies for his Masters Degree, the Controller and Auditor General has motivated and inspired his leadership team stating that it is difficult but not impossible, with the necessary sacrifices, to undertake studies and attend to a full time job and also family duties after work on a daily basis.